Pillows are an easy and inexpensive way to add color and decor to any room. 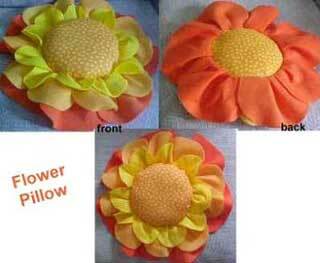 This pillow pattern is for pillows shaped like flowers that look great in a little girl's or teen's room. They'd also perk up an outdoor chair or sofa.